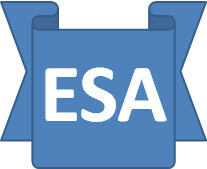 The ESA Saga: FoI Act Request - Who makes what decision?
) states, “The medical assessment may find that you are able to work”, which means the Atos HCP determines capability to work. Please clarify who actually decides whether or not I am able to work as it is this that determines ESA payments– Atos HCP or DWP Decision Maker? This is important due to the large error rate discovered at tribunal, often based on EXACTLY the same information that was available to both the DM and HCP – they may have additional information in some cases, but not always.